"Illegal mining of coal started in Meghalaya immediately after the NPP-BJP alliance government took over last year"
Former CM of Meghalaya, Mukul Sangma addresses media in Guwahati on January 21, 2019. UB Photos. 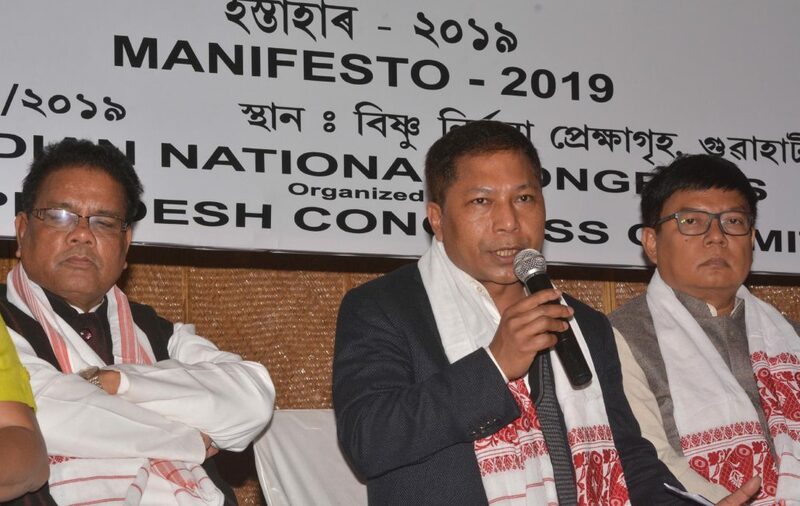 Senior Congress leader and former Meghalaya Chief Minister, Dr Mukul Sangma on Monday said that people in power were involved in the illegal coal mining in the state. He said the illegal mining of coal started in Meghalaya immediately after the NPP-BJP alliance government took over last year. Blaming the BJP of hatching a criminal conspiracy, Sangma said that the BJP during its political rallies in the state ahead of the 2018 Assembly polls assured to open the coal mining within six months time. “Is it possible to open the coal mining legally within six months? So it’s evident that they are using the illegal coal mining to come to power. People in power are involved in coal mining in Meghalaya,” he said talking to newsmen on Monday in Guwahati. He said that the illegal coal mining had been on in Meghalaya since time immemorial. “It was our government that brought about a mining policy in the state. Our government was also engaged with the coal mine owners to ensure proper mining,” said the former Meghalaya Chief Minister. He also blamed the Chief Minister Conrad Sangma-led government in Meghalaya for delay in carrying out the rescue operations in the tragedy-hit coal mine at Ksan in East Jaintia Hills where 15 miners had been trapped on December 13. “We are not at all happy with the rescue operation. The government has responded very late. All the ministers were out of the state vacationing when the tragedy took place. It is an act of insensitivity and incompetency,” said Sangma.